Starting August 15, 2017, up to September 14, 2017, members of KonsultaMD will have the benefit of having a licensed and qualified medical professional who specializes in medical care, nursing care, physical therapy, diagnostics or even animal care, right at their doorstep. During the period, KonsultaMD members get to enjoy one (1) free trial of any AIDE service. They will also get a 10 percent discount on all AIDE services from August 15 onwards. 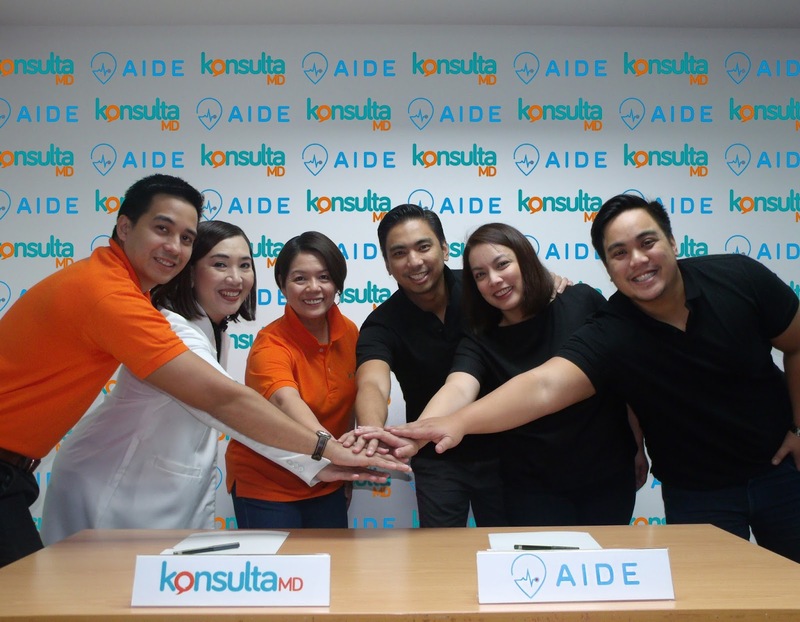 KonsultaMD is a health hotline service made up of a team of licensed, highly-trained and experienced Filipino doctors who are ready to provide Filipinos with access to high-quality medical information anytime, anywhere. Inquiries about health-related issues include but are not limited to maternity, pediatrics, and primary conditions like fever, rashes, and allergies, to name a few. Callers may also inquire about matters pertaining to health coaching, nutrition counseling, permissible medication, and even laboratory results.